Mastering and increasing customer loyalty is a crucial component of business success. It is that X-factor that holds the power to convert one-time buyers into repeat customers. The only problem is that there are no shortcuts and easy ways to inspire loyalty. Constant sales pitches and blatant self-promotion can take you only so far. This is not to say you are powerless. Far from it— you can rely on a variety of tried and tested tactics. But first, why would you care about customer loyalty? Your customers are the most important piece of your business. No customer means no business. Simply because the more loyal the customers feel to your brand, the more likely they are to recommend you. Besides this, increasing customer loyalty means increasing the lifetime value of the customer for most businesses. 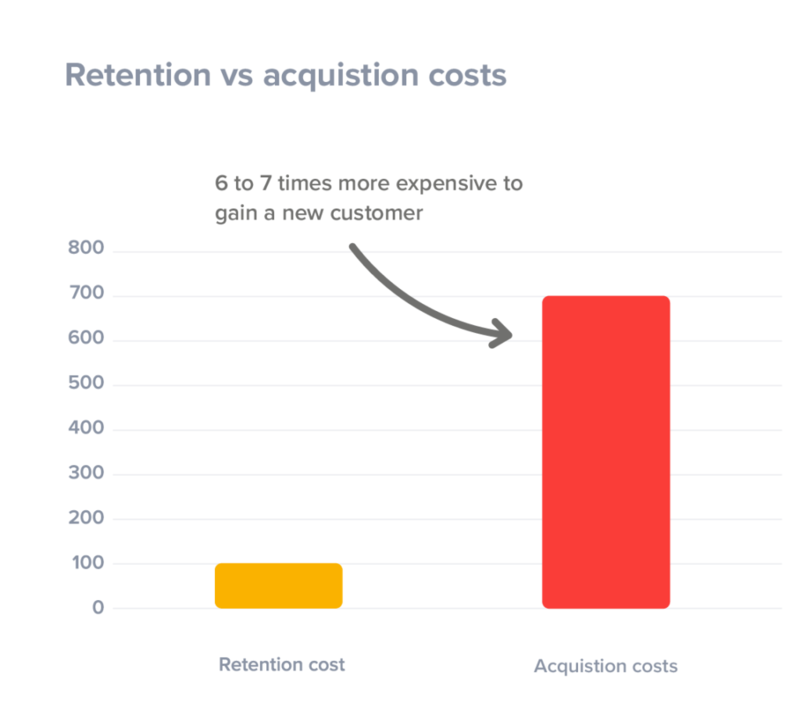 In other words, it costs seven times more to acquire a new customer than to retain an existing one. And lucky you, there are ways to improve loyalty. They require a substantial investment of time and money, as well topped up reservoirs of passion and commitment. In a nutshell, you have to learn as much as possible about your customers and then keep up with their wants. The ultimate goal is to nurture meaningful relationships capable of repelling attacks from your competition and standing the test of time. With such a rock-solid groundwork in place, you will not only stay afloat but reinforce your bottom line. So, let us get down to business with our height strategies to retain the customer and gain customer loyalty. First off, come up with a compelling value proposition. Explains in detail who you are and what you stand for. But, instead of writing general propositions, note that you are better off targeting specific buyer personas. For good measure, do a competitive research to confirm your proposition is really unique. You can also conduct some A/B testing of your proposition to make sure it really resonates with the target audience. Basically, upon reading the text, people should be tempted to purchase your products and feel like they want to become part of something bigger (your brand’s mission). Speaking of which, you should employ booming social channels to cultivate a faithful community around your business. Tell your story on a daily basis via a steady stream of posts, comments, articles, videos, and images. Hold social media contests to attract user-generated content and offer rewards for best pieces. Apart from deploying these tactics, you also need to learn to listen carefully. Take part in lively conversations happening around the clock and do not shy away from getting personal. 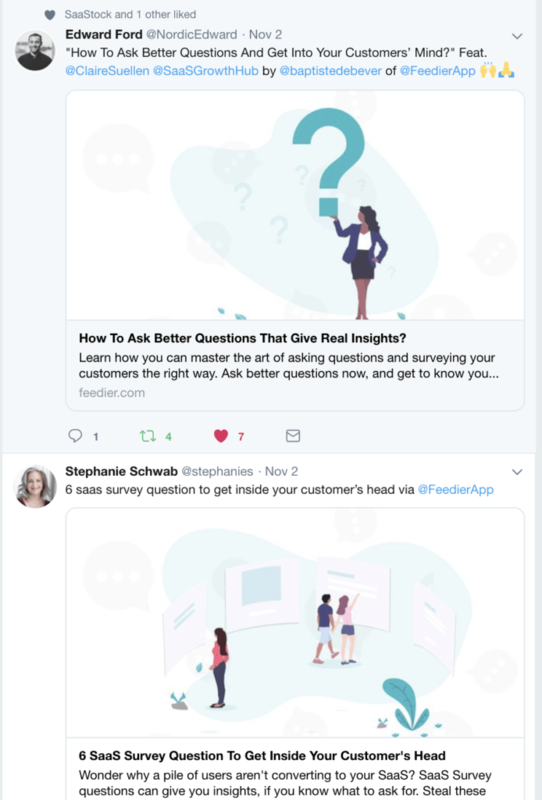 Bear in mind that you can use social monitoring tools to easily pick up brand mentions (including common misspellings) and react promptly. It is all about telling a story. One of the best tools for reinforcing your brand’s authority and credibility is social proof, which refers to the positive influence you exert on social media. There are many ways to go about this vital task. Just to name a few examples, you can share statics and infographics published by reputable sources. Furthermore, entice your consumers to write reviews and testimonials on websites like Yelp. It might also be possible to score some celebrity endorsements and connect with prominent influencers in your niche. Trigger the fear of missing out (FOMO) in people and showcase a heap of reasons suggesting that you can be trusted. Customer service plays a major role in breeding loyalty. So, take a moment to observe your business from the standpoint of your customers. Make it easy for people to contact you at all times— display your accurate contact information and address concerns in a timely manner. Most consumers expect the brands to react in a matter of four hours. This may seem hard, but implementing chatbots to your social channels or website is a great tactic to ponder. These digital helpers can improve your response rates and offer a 24-hour service to everyone. In the process, you will boost satisfaction and avoid negative word-of-mouth. And you can even manage to turn the unhappy customers into loyal fans. All-in-all, this is one of my favorite way to gain customer loyalty. Great website and mobile UX is a powerful vehicle for driving customer loyalty. If you do not have a business site, it goes without saying you should build one. But, brands that have established their online presence should not get complacent, as they do a lot to fine-tune it. In both cases, it is important to look beyond mere visual appeal and facelifts. You can focus on creating a gamified experience, but also on offering a smooth experience. Use Feedier to create a gamified feedback experience and 10x your UX game. It’s free. Additionally, improve site navigation, load speed, and usability. In case you lack in-house skills and resources, do your online research and find agencies that specialize in creating functional websites. The investment should pay dividends down the road. When caught up in the process of maximizing customer acquisition, it is easy to overlook your existing customers. Alas, you cannot afford to make this mistake because they offer immense value. Kind words do not cut it here, so take action: launch data-backed loyalty programs with a simple tier or point system. Keep people hooked and coming back for more. Along similar lines, provide various incentives like discounts on upcoming products or free gift cards. Send personalized emails with birthday/anniversary greeting and coupon. Regularly seek feedback through email questionnaires and website surveys. Never stop learning and improving your customer service and marketing campaigns. Employees are the heart and soul of your brand. They should possess skills and expertise, but also dig your culture and relate to your mission. To ensure this sort of internal brand harmony, you need to have a comprehensive recruitment policy in place and prepare thoroughly for interviews. While at it, communicate your expectations clearly and define roles and responsibilities. And once the newcomers are onboard, give them training and career development opportunities. Encourage them to share their tips and advice via social media or blog posts. Feature them in interviews and interesting behind-the-scenes video shedding light on daily life at the company. Avoid hiding behind that cold corporate façade: put the best face forward. In the information age, modern customers are highly tuned in to how transparent and responsible businesses are. To send them positive signals, acknowledge your mistakes and take responsibility for them. Shed some light on how you do business and adopt best industry practices. Never obfuscate information. Finally, explore ways of enhancing your environmental and corporate social responsibility. Back local green movements and take a stance on issues that plague the community. Consider purchasing from local suppliers and in a way that is sustainable. See to it that management, executives, and employees remain on the same page when it comes to these goals. These are great examples you can pick up to increase customer loyalty. We gave you the effective ways to build brand loyalty. Proof? The following strategies already implemented in real-life. How Can Restaurants Increase Customer Loyalty? There is nothing better than using an example for that. But before that, let’s give some of the basics for restaurants to create retention and build up loyalty. Offer them an outstanding experience, service, and food. 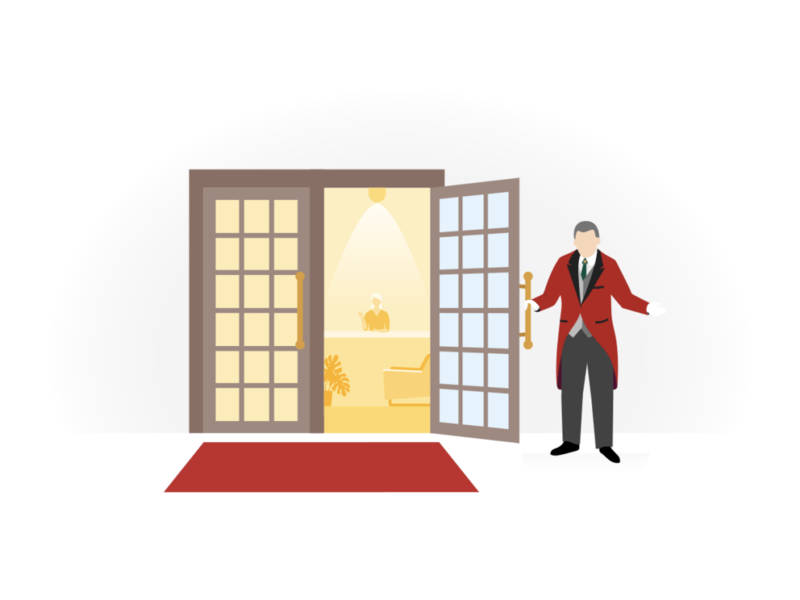 Create a loyalty program: entice your users to come back, and make their loyalty easier by offering them some sort of card or subscription to your restaurant. They will fill closer, emotionally attached, and will want to come back. Help them spread the word: they become brand advocate. That’s a win. How Can Retail Customer Loyalty Be Improved? The same way you want, you will want to make your customers emotionally attached to your services. Create a compelling loyalty program, that offers real benefits and not a simple card. Push regular sales and additional benefits for your most loyal customers. Incentivize your customers to be even more loyal. The more they come to your store, the more points they gain, and the more likely they are to come back again. The French store Fnac.com rewards its loyal customers with a 5% percent discount, plus private sales. This is a great example of a compelling loyalty program. Unlike most loyalty programs, users have to pay a yearly registration to be a part of the Club, but the rewards are worth it. 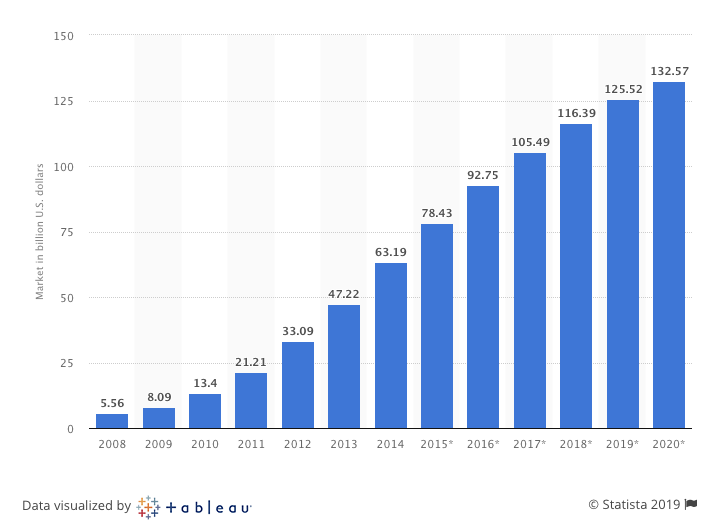 How To Increase Customer Loyalty For Online Businesses? Loyalty for online businesses, such as online software – aka SaaS – is not a walk in the park. With the increasing numbers of software online, it has never been easier for customers to switch off. That said, as it was described all along in this article, there are strategies you can follow in order to increase customer loyalty. A great example of an online company applying the 8 steps from above is ClickUp, the project management software. They not only have an amazing software, but they also have a rock-solid customer success team in place, always seeking feedback and actively responding to the customers. 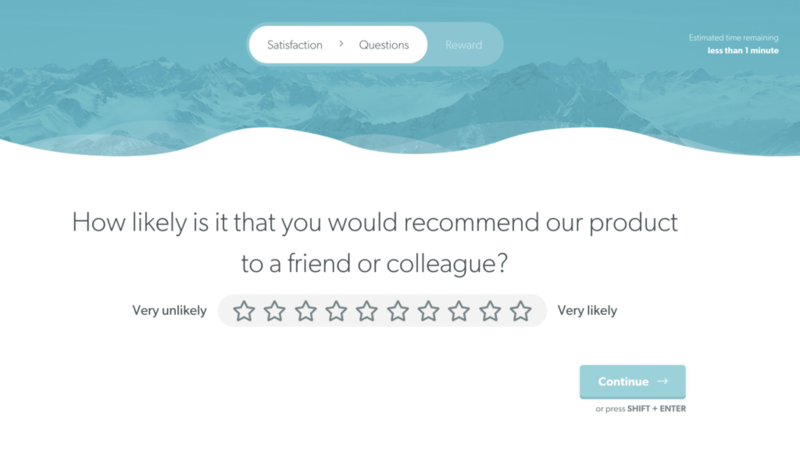 They are also regularly asking their users for feedback and opinion in order to create the future of their software. The reviews on Capterra speak for themselves. Customer loyalty is a driving force behind success, but it does not come easy. You have to treat people like human beings, not sales figures. So, go above and beyond just pushing your products and services. Show customer service excellence and keep the communication lines open. Be a problem-solver and make your business easy to find and interact with. Build emotional bonds across touchpoints and uncover your warm side. Empower both the consumers and your employees and rally them around a meaningful cause. You have all the ingredients to increase your customer loyalty. You’re the cooker now! Following the steps above, you should be able to boost acquisition and retention rates and spur referral traffic galore. You will be in a commanding position, surrounded by an army of lifelong brand ambassadors ready to spread the good word around. Want more? Check out the additional tips by Nightwatch. Improving customer loyalty starts by understanding your customers, and what they have to say about you, so go get some feedback now, value your customers and offer them a great experience with Feedier.